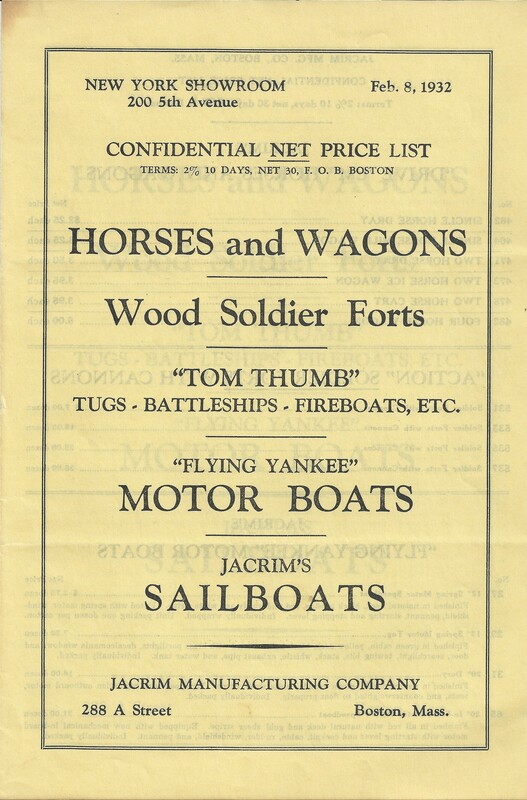 This is a Jacrim Confidential Net Price List from February 1932. 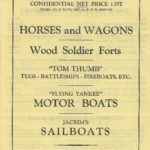 It is a fold out with three pages of toys prices. All of the ships have detailed descriptions of the toy. To this point this is only one of two pieces of printed Jacrim material I have seen.